This week, the biggest selling video game in Japan is for the PS Vita. While the handheld seems to be on its last legs in the west, here in Japan, it’s doing pretty well. According to the latest Weekly Famitsu, the PS Vita version of the enhanced remake Odin Sphere: Leifthrasir, which launched on January 14, moved 39,718 copies in its first week on sale (for the sales period January 11 to January 17), making it the biggest selling retail title in Japan. In comparison, the PS4 version came in at third place, selling 33,430 copies, while the PS3 version sold 8,638 copies. Sure, if you combine Odin Sphere: Leifthrasir’s PS4 and PS3 sales numbers, then, yes, the home console versions outsold the handheld one, but that’s not the point. The point is that the Vita is healthy enough of a platform that it can compete. As Degenki previously reported, that nifty artbook was a pre-order bonus for all platforms. Weekly Famitsu said that, at time of publication, Vita title KanColle Kai, based on the popular browser game and anime, is one of the most eagerly anticipated upcoming games, even edging out Kingdom Hearts III, Yakuza 6, and Dark Souls III (though, expect those titles to get much more hotly anticipated as they get closer to release and the PR machine fires up). Sales tracker Media Create, which has slightly different tallies, reports that during the same period, there were 18,202 Vitas sold, putting the handheld in third place in console sales. In second place was the PS4 with 25,592 units sold, while the 3DS XL come in first with 30,172 sold. Defeating Nintendo’s handheld dominance is incredibly difficult, but the Vita did surpass Nintendo’s home console, the Wii U, which sold 15,398 units during the same period. “It’s the world we know but upside down,” Mark MacDonald of Tokyo-based game localizer 8-4 said of the Vita’s continuing Japan success. Aside from localized titles, Vita releases seem to have ground to a halt in the West. But in Japan, developers, big and small, continue to churn out title after title. “Japanese developers making PS Vita games really know their audiences,” says MacDonald. Hot anime titles get timely Vita releases, as well as mainstays like Gundam. Then, you can find interesting likes like the shooter Darius Burst: Chronicle Saviours, which moved a decent 7,223 copies during its debut this past week, coming in at number 13 on the Japanese retail sales chart. The Vita has JRPGs, dating games for women, dating games for men, sims, action games, visual novels, games with fan service, and Minecraft. The Vita’s Minecraft version has been evergreen. To date, the Vita version has sold over 557,000 copies in Japan. As Weekly Famitsu reports, it’s still in the retail top ten, even after launching in March 2015. If you wonder why Square Enix developed their own Vita Minecraft clone, Dragon Quest Builders, which is out today in Japan, these sales numbers explain that. MacDonald pointed to a couple reasons as to why, such as how people who live in the most populated areas, like Tokyo or Osaka, might have long train commutes, which means plenty of opportunity for mobile gaming, whether that’s on the Vita, the 3DS, or smartphones. Another reason, MacDonald added, was that Japanese houses tend to have only one television, which is shared in the living room. The way life is lived in Japan naturally lends itself to portable gaming. “Even someone like me who lives in Tokyo thinks, ‘If I buy this game, what’s the best way to get the maximum amount of play time?’” For him and others, that might mean picking up the Vita version instead of the home console one. The Vita isn’t more popular than home consoles or smartphones, but it’s hanging in there—not hanging on for dear life. 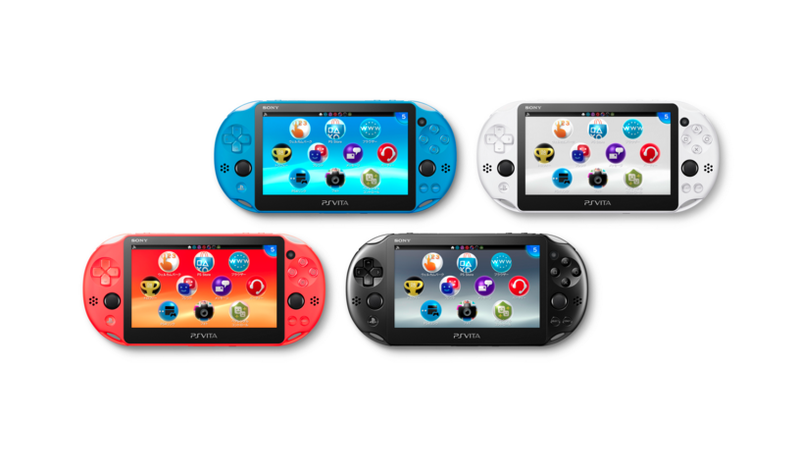 The Vita doesn’t have to outsell the Nintendo 3DS or any of the home consoles. It just needs to do sell well enough to ensure a steady stream of games. And that’s exactly what it’s doing.